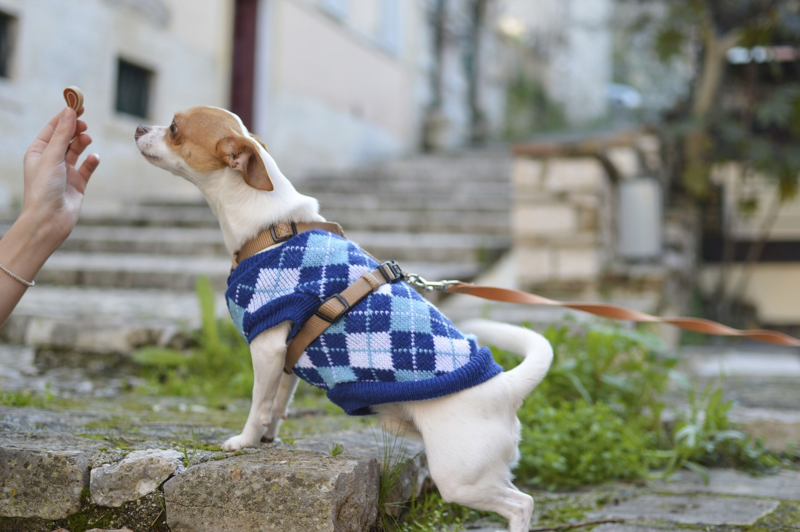 Is your dog overly anxious when you leave the house? Perhaps they’re having trouble getting along with your new pet. Or, maybe walks are very stressful. 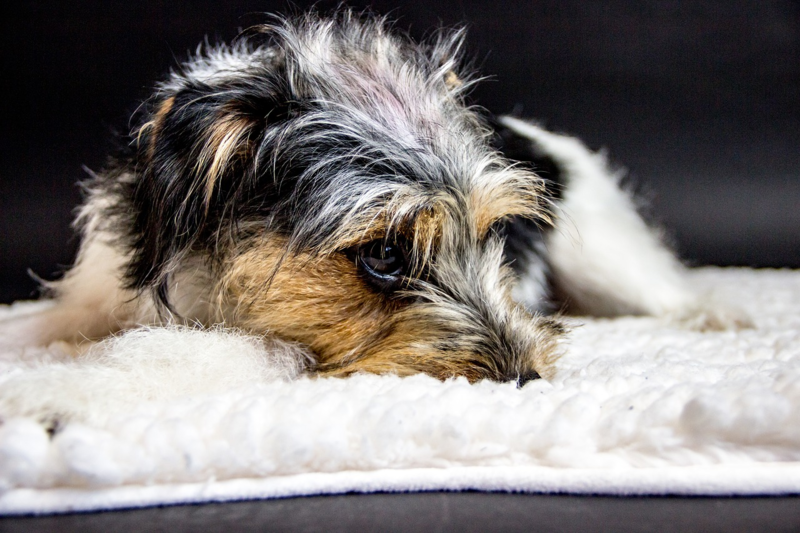 Anxiety and stress are very common behavioral problems with dogs. Many dogs experience anxiety, however, some techniques, such as pheromones and calming treats, along with a training regimen, can help. Pheromones are chemical substances secreted into the environment by animals (and plants) that affect behavior. They are most commonly thought of when animals want to breed. However, certain pheromones can have a calming effect on pets. This may help reduce stress related to anxiety, inter-pet tension, and more. Pheromones are most commonly used as a plug-in diffuser, collar, or spray. Plugins work great in the house where separation anxiety takes place. 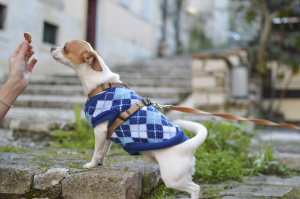 Collars help with individual dogs in various situations inside and outside the house. Sprays are useful in situations you weren’t expecting stress, such as at the vet or groomer, or locations such where a longer-term diffuser may not be as effective. Use of the collar form should be discussed with your veterinarian in advance to avoid potential interactions with certain flea and tick preventatives. Calming treats are treats with special ingredients added to calm your pet down. They often include natural herbs or supplements. They are designed to provide these ingredients in an easy to eat manner, and thus help your dog relax. However, there is some controversy that the amount present in a treat isn’t enough to be effective. Calming treats come in a variety of styles. Soft chews mimic regular treats and are easily gobbled up, while supplement pills can contain a higher concentration of ingredients. Finding one that your dog enjoys and that seems beneficial can take some trial and error, so picking multiple to test out is best. Of course, any ingested supplement should be discussed with your veterinarian in advance to rule out possible drug interactions. Once the cause is found, a trainer can help create a training routine that utilizes both pheromones and calming treats, AND training. 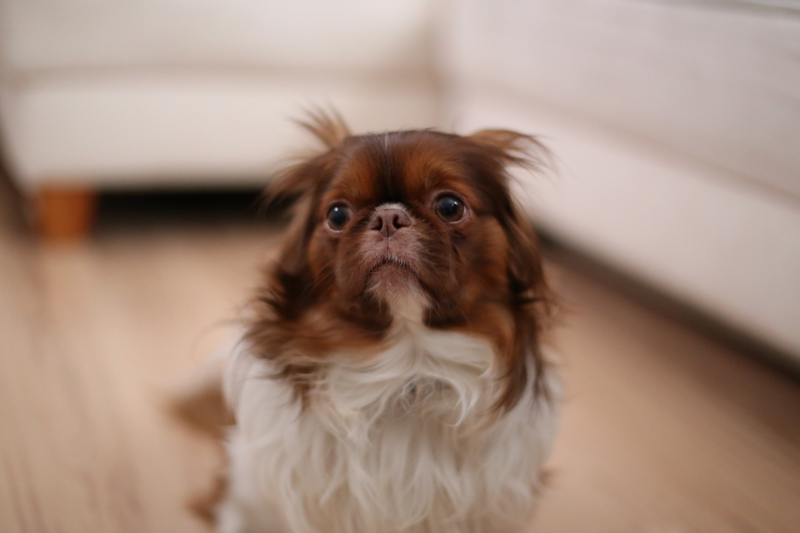 The pheromones and calming treats work in the short term to help your dog calm down enough for training to work. Then, training techniques to change how your dog reacts to the situation can take effect. You can work to remove negative experiences and replace them with positive ones, reducing anxiety. This can range anywhere from adding in puzzle treats and soothing music while you’re away, to taking a class together. Working to treat both the acute reaction and the long-term source of anxiety is always best. No matter what causes your dog to become anxious, pheromones, calming treats, and training can help. Speak with a trainer today to see how you can help make your dog’s life a bit more comfortable and a little less stressful. A happy dog means a happier household all around! 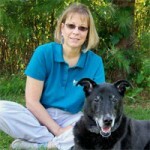 ← Canine Body Language: Do You Know What Your Dog Is Saying?